On the other side of Dublin Castle is City Hall. Built between 1769 and 1779 in the neo-classical style, this building was originally the Royal Exchange. 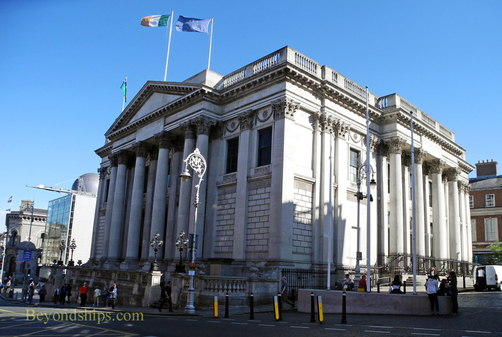 In 1851, it was obtained by Dublin Corporation became the center of local government. Although the city government has moved its offices to another location, City Council meetings presided over by the Lord Mayor are still held here. 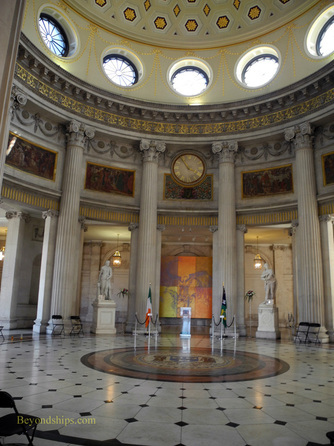 City Hall's very impressive rotunda is open to the public. It also has an exhibit on the history of Dublin. Going further west along Lord Edward Street, you come to Christ Church Cathedral (above). 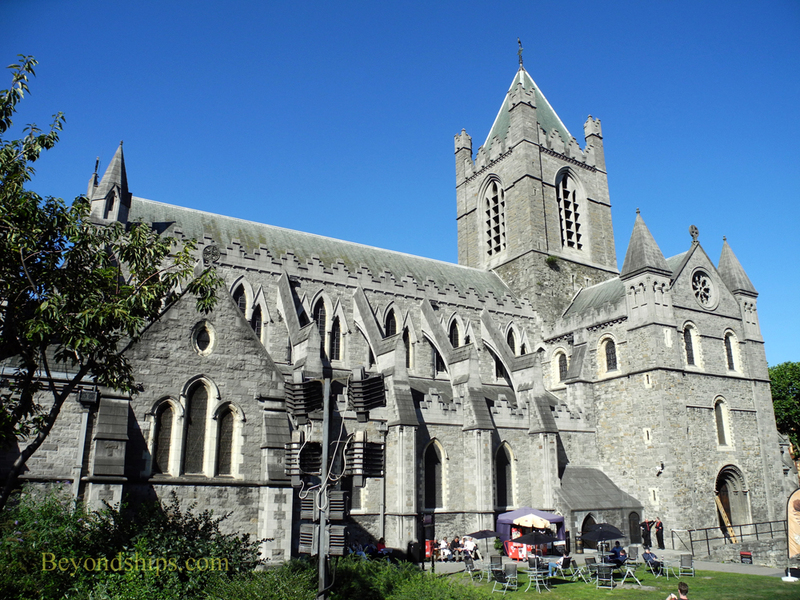 This is the cathedral of the Church of Ireland's Archbishop of Dublin. Dating from 1028, extensive parts of the cathedral were re-built in the late 19th century. The medieval crypt extends the length of the cathedral. For more information. 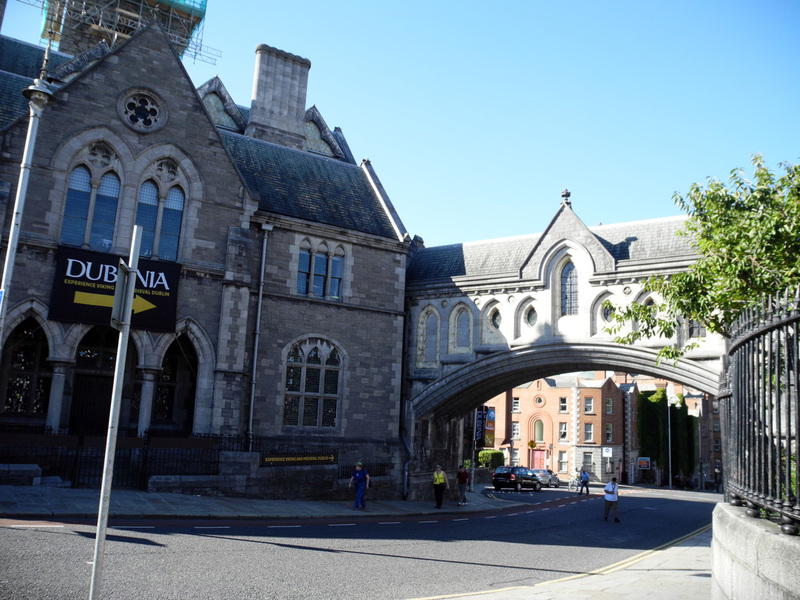 Connected to the cathedral by a medieval footbridge is Dublinia. This venues houses recreations of Dublin during Viking times and during the Medieval period. Visitors can interact with the exhibits to get a feel for life during these periods. There is also an exhibition on the archaeology of Dublin. For more information. 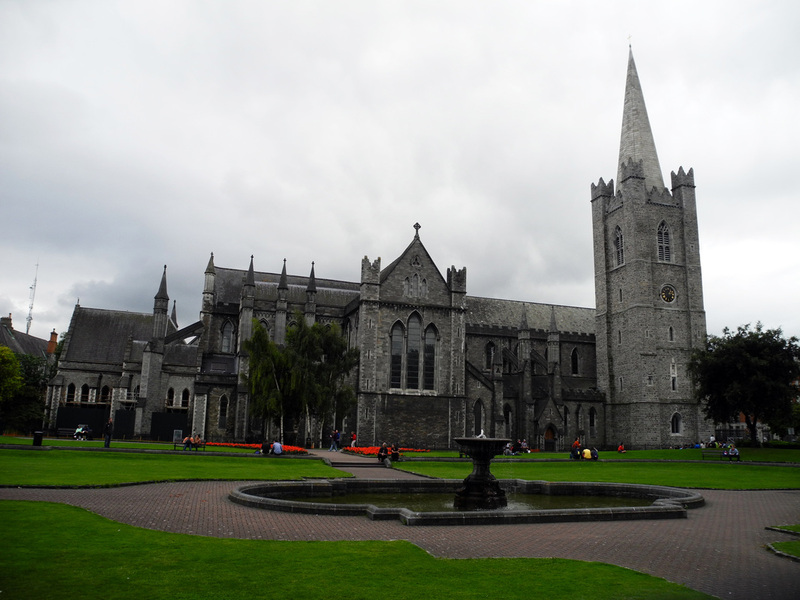 South of Christ Church Cathedral is Saint Patrick's Cathedral (above). A cathedral of the Church of Ireland, this building dates from 1220. According to tradition, St. Patrick baptized Christen converts at a nearby well. For more information. 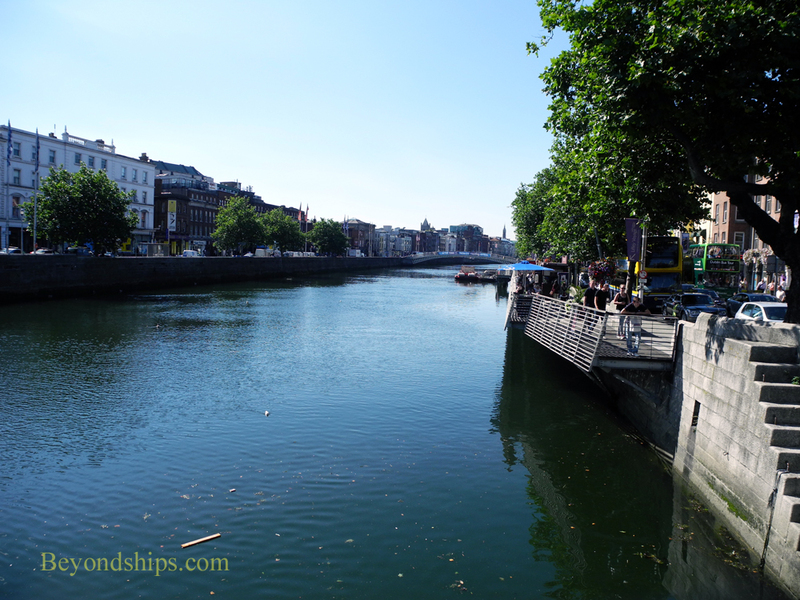 Although it is not Venice or Amsterdam, Dublin has some interesting bridges across the Liffey. 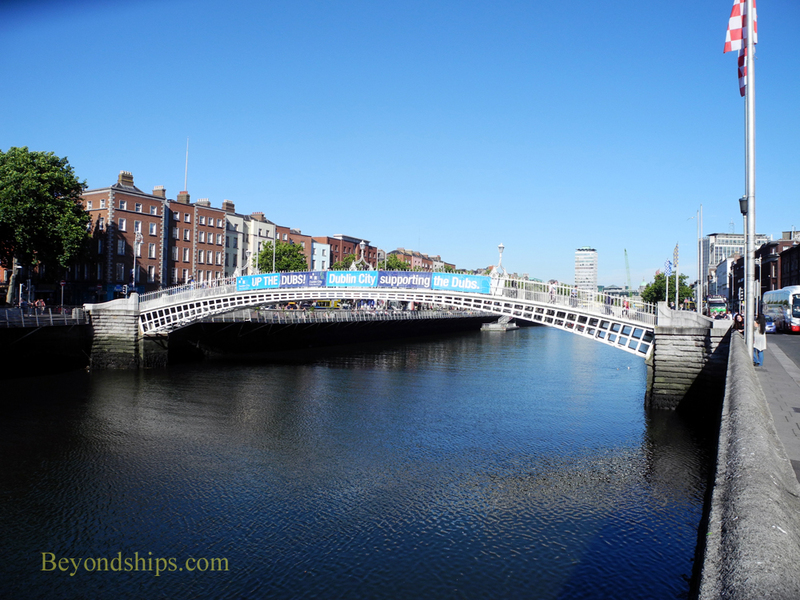 The Ha'Penny Bridge (above right) is a pedestrian bridge that opened in 1816. Its name comes from the fact that you had to pay a half penny toll to cross. (The toll has been discontinued). 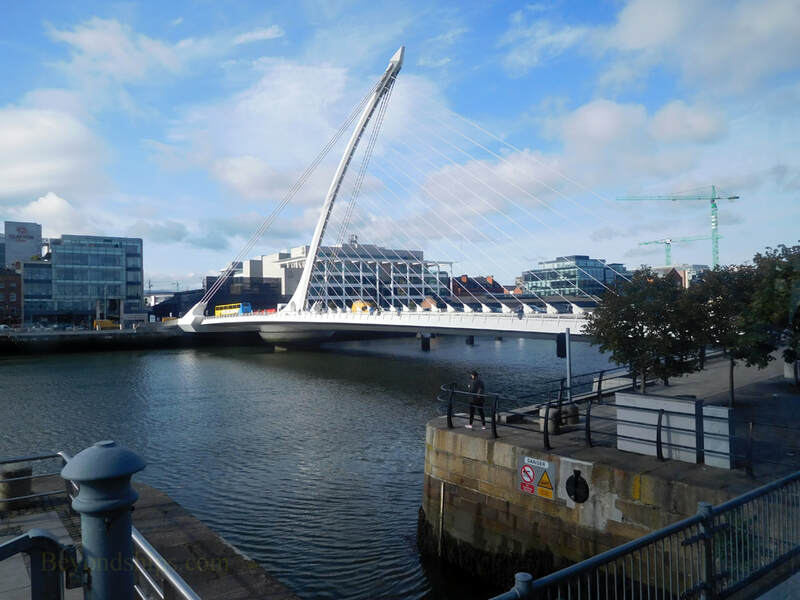 Further downstream is the Samuel Beckett Bridge with its sail-like superstructure (right). Not far from the Becket bridge is the Jeanie Johnston (below right). 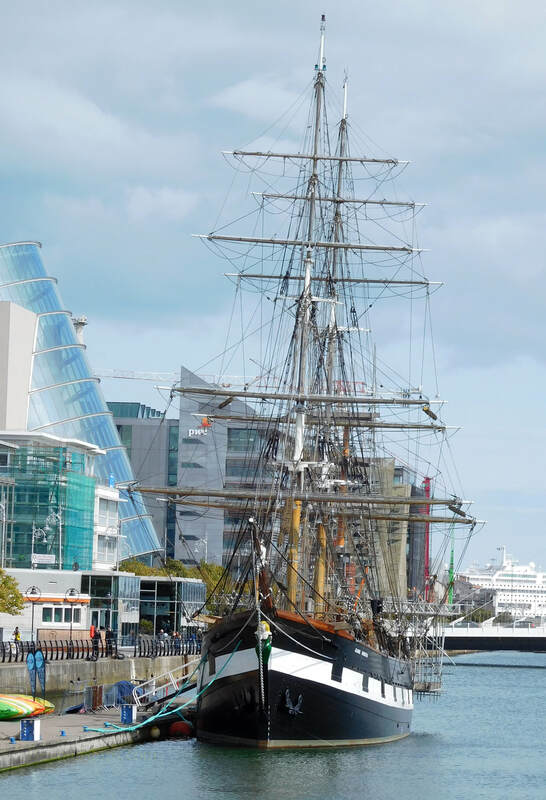 A re-production of a 19th century sailing barque, the ship gives a glimpse of what it was like for the millions of Irish who emigrated to North America. For more information. ​Nearby is the Famine Memorial. Designed by Rowan Gillespie, it consists of statues of starving men and women trudging along the Liffey toward the sea determined to survive. 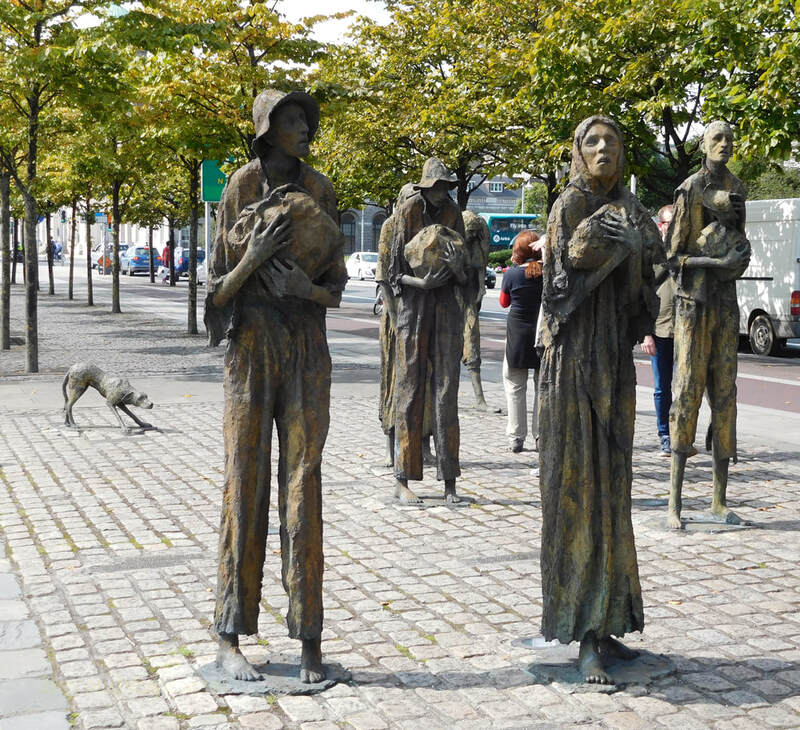 The famine led many Irish to emigrate.